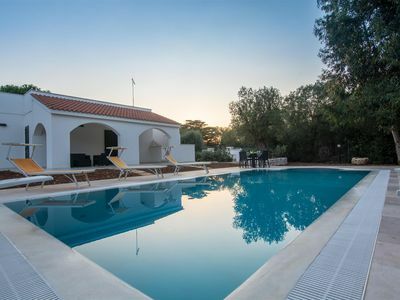 Villa Bragone is a well appointed traditional house close to the beach.There is a peaceful garden and patio at the villa, located in a quiet olive grove. 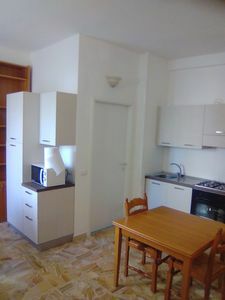 There are excellent restaurants nearby, one only 10 minutes walk, the others 20 minutes. The owner is also offering free cooking classes to her guests and is also able to organise a wine and food tasting in the months of April and May. 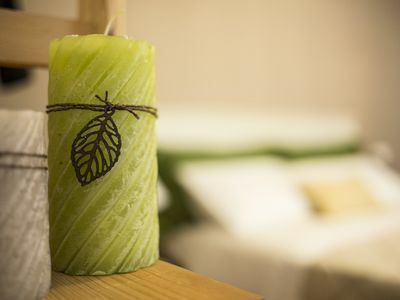 An excellent complimentary welcome pack is also made available to guests on their arrival. 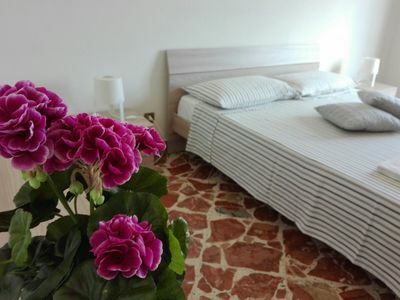 Located in the area of Termini Imerese, a seaside spa town with the magnificent backdrop of Monte Calogero. Famous for its waters, the town flourished in Roman times. The ancient Greek ruins of Himera are within this attractive city. The interesting village of Trabia, with its markets, bars and shops is only 10 minutes walk from the house. 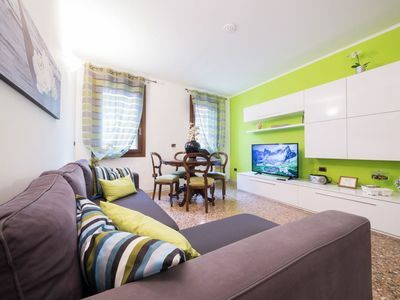 The famous dynamic city of Palermo is easily reached by car or train in twenty minutes.It is not essential to have a car when staying at Villa Bragione, as there is a train station only 10 minutes walk from the house with many trains per day to Palermo and Cefalu. One of the most attractive things about Sicily is the weather, with average temperatures of around 20C in March and October, and up to 30C in August. 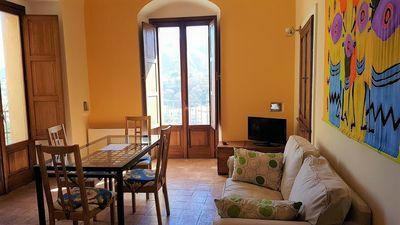 Near Cefalu and Palermo, Villa Bragone is in a central perfect location to discover the Island all around. Cefalu is easily reached and the ancient bustling capital Palermo is a great experience to visit, only 20 minutes by train or car. The local town of Termini Immerese has fine shops and the attractive historical area of Belvedere, loved by locals who use the promenade each night for refreshments and ice cream. 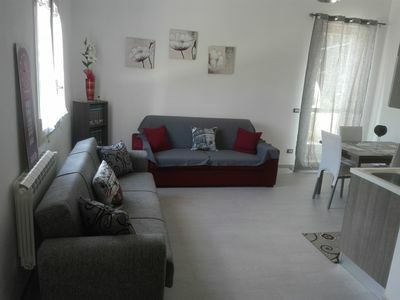 The house is very near to the interesting village of Trabia, with its markets,shops and bars. Sicily is a treasure trove of historic attractions. There are famous Greek relics nearby at Himera, and also nearby is the fine medieval town of Cacamo with its fascinating castle. 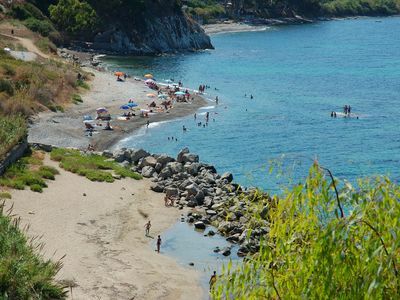 It's also not far to the famous resort of Cefalu, and you can walk to the little resort of San Nicola l'Arena. The interior of the island is beautiful, very green much of the year round. The towns are quiet and very attractive, with many outdoor activities available. In the middle of a large olive grove which produces fantastic olive oil, at about 150 m from the sea, the house has a large bright living-room which opens to a dining area and study, a well-equipped kitchen, a double-room with French doors to an inner stone courtyard, two other bedrooms (one double and one single) and two bathrooms with shower and bath. There is a shaded terrace in the peaceful garden to eat and grill outside as well as a car park. You can go on foot to the beach and swim peacefully in a small bay and in the evening you can easily get to some good restaurants nearby to taste the local cuisine.The nearest, excellent and low cost restaurant is 500 m walk. There is also a little pizzeria at the beach, 150 metres walk. 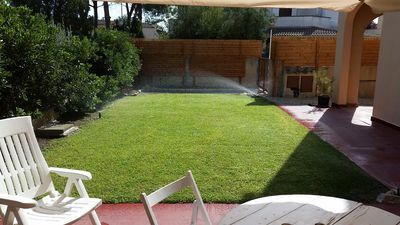 What also draws people to Sicily is the summer type weather, which arguably stretches from Spring in late February to Autumn in early November, perfect for an out of season break. At the coast summer temperatures seldom go higher than 30C. Sea temperatures are still high in November, delicious for swimming. We were warmly met by Maria at the train station and after a tour of Termini she took us to the villa, and was a huge help to us throughout our stay: nothing was too much trouble. She arranged taxis for us, found us a local car hire and even helped with our trip to Etna. Her kindness knew no bounds and she gave us a real taste of Sicilian hospitality. The house is ideal and the garden absolutely splendid. We enjoyed eating outside - but beware of the mosquitoes! They bite! The local restaurants were a treat and the local food wonderful. We stayed at the Villa Bragione from 9 June to 23 June. Our arrival in Sicily was in the late evening and the road from the airport took some time, in spite of this, hostess Maria greeted us warmly, and prepared a snack and ordered a pizza at home. Two weeks passed quickly, because everything was wonderful. Old house, and so it is very cool, even in the hottest heat. Sea in the five-minute walk. 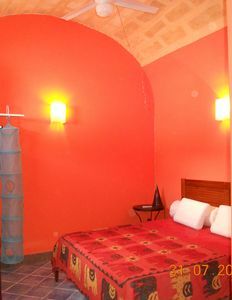 The villa has everything you need for a comfortable stay. If you want to travel around the island, you'll need a car. The nearest shop is 7-10 minutes away. Nearby is a very pleasant restaurant. 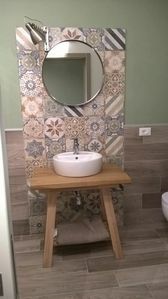 Sicily is stunning and we was overwhelmed by the breathtaking scenery combining rugged outcrops, grass-covered mountains, fertile plains and beautiful beaches. The people are incredibly welcoming too, in a unusually genuine and straightforward way. We barely scratched the surface of this magnificent island as we were travelling with a baby and a 2 year old but we will definitely come back for more. The property we stayed at was located in a good area for sightseeing and was near to two nice beaches (one rocky, one a lovely baby-friendly one with golden sand). We were very warmly welcomed by the family who own the property (they live in the flat above the rented one) who treated us daily to local insights, olive oil from the garden and even traditional Sicilian delicacies. We felt like part of the family! Children are greatly appreciated here and are included in most aspects of daily life. There was a gorgeous park in Termini with stunning sea views and lots of ice cream shops for after. Our kids were given free biscuits or treats in almost every shop they entered. We have great memories of the island and will definitely return. Have recently returned from a week staying in the villa Bragone in Trabia. 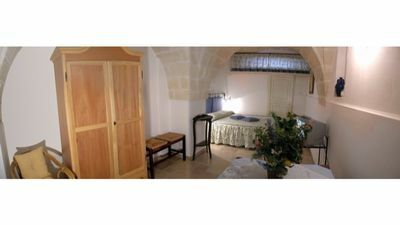 The villa is beautiful, decorated tastefully with traditional Sicilian furniture, and enjoying stunning views of the coast. 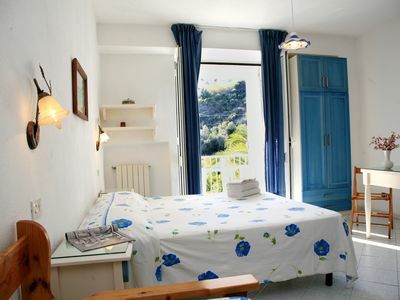 It is conveniently located to explore much of northern Sicily, and only half an hour from Palermo. The local beach just down the road from the villa was perfect for our family, and often we were the only people using it. 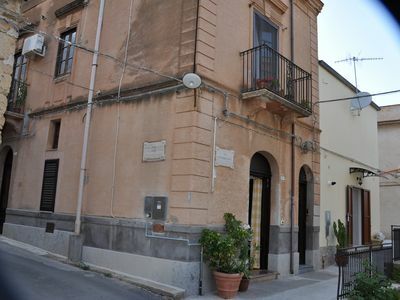 We enjoyed staying in a typical small Sicilian town like Trabia without hoards of tourists and were able to get by without any great language skills! We decided not to rent a car and were able to use the train network with relative ease. The fares were cheap and the nearest station is only a 10 minute walk from the villa. I would suggest a car however if you're not a fan of walking slopes! The villa is situated on a very short, but also steep hill! Maria (owner) & family live next door and were always willing to offer advice and help if needed. They are all very friendly and approachable. Only minor gripes were the size of the showers and beds, but massively outweighed by quality & location of villa. Overall very positive and would recommend. Between the sea breeze and the mountain landscape ..